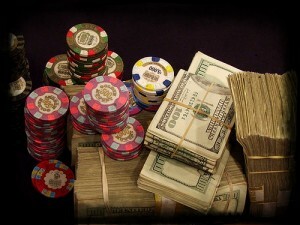 High Stakes poker is a recent phenomenon in the poker world. If you look back to 2004-2005 most rooms would have limits set at $100/$200 at the highest. These rooms would also impose a “cap”, meaning a player would only be able to lose a capped limit on any single hand. This all changed in 2006 when Full Tilt, in its sophomore year of operation, began to raise the limits and ditch the capped pots. Full Tilt understood that there was not a huge market for these higher limits, but the ever-growing pots created an immediate buzz (and lots of free publicity) in the pokerforums. The 2003 Moneymaker Effect caused a surge of new players both live and online. 3 years later many of them had already played millions of hands and amassed significant bankrolls to support playing higher and higher limits. Like Detroit’s horsepower wars of the late 60’s, PokerStars and AP/UB joined Full Tilt in raising limits to attract the nosebleed players. Full Tilt initially raised the stakes for its PLO and NLHE games from $200/$400 to $300/$600 and soon after $500/$1,000. 99.999% of players will never play these stakes or bet these amounts, watching the action go down is the closest to being involved in a high-stakes game as they will get. There is a sense of recklessness and insanity watching 5 and 6 (and occasionally 7!) figure pots shipped back and forth between these online gladiators. The more people who talk about the high-stakes action, the better off the game will become. Poker will always need as much publicity as possible to keep people interested. To get someone like Phil Ivey, Tom “Durrrr” Dwan, or Viktor “Isildur1” Blom to a table the action has to be worth their while. These players win and lose millions of dollars every time they play. They’re only going to play when stakes are substantial enough to keep them feeling as if they are winning enough money to make it worth their time. players live to play nosebleeds. They understand the risks and rewards that come with it. Looking for a place to play real money poker can be an issue depending on your location. You want to make sure the website is offering what you need per money stake which usually is presented on the website. Just like any other player it’s important you understand the financial part of playing poker online and the risk that come with it while playing at a high stakes level. The best players use their strengths to their advantage. High stakes online players are in a different league than the rest of us. They are smart enough to find advantages over opponents and exploit them. Dropping down in stakes yield a softer game, most choose not to. They feel you have to constantly play the best to become the best. Online phenom Tom “Durrrr” Dwan believed he had a serious edge over all other players as long as they would play according to a few rules. 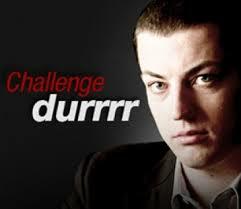 Dwan issued a Million Dollar Challenge: open to anyone except Phil “OMGClayAiken” Galfond. You must play Dwan in 50,000 hands of PLO or NLHE, 4 tabling $200/$400 or higher. If either player drops below 75BB at any table, they must reload. After 50,000 hands are completed a winner will be crowned. If Durrrr is ahead his opponent must pay him $500,000. If Durrr’s opponent is ahead, Tom will payout $1.5 million to the winner. The winner will also keep all profits of the 50,000 hands played. He is setting parameters that he feels will give him an advantage over anyone that accepts his challenge. He feels that PLO and NLHE are his strongest games. He is comfortable playing up to 4 tables’ with effective deep stacks. This puts him in his comfort zone. In this specific situation he feels he is the best in the world and he might be right. When players are experiencing multimillion-dollar swings in only a few hours and pots swell to over $800,000.00 one can argue that things might be getting a bit out of hand. That was nothing compared to the following hand between Viktor Blom and Patrick Antonius. Playing 500/1000 PLO can get a bit expensive fast as you will see. A few hands after playing for an $815k monster pot (the second highest ever played) this hand came up. Isildur1 held 9♠ 8♥ 7♦ 6♦ and Antonius held A♥ K♥ K♠ 3♠. Isildur1 opened up with a raise, Antonius three-bet and Isildur1 4X it. Patrick 5bet to $81k and then Blom made the call. The flop came out 5♣ 4♠ 2♥ giving Antonius a flopped wheel. Blom has outs with his up and down straight draw. Patrick leads out for $91k, Blom re-pops him making it $435K. Antonius re-potted to $779K and Isildur1 is pot stuck. Isildur made the call for his remaining stack, resulting in a staggering $1,356,947 pot shattering the previous record by a half a million dollars and taking the seven-figure marks virginity with it. The 5♥ turn and 9♣ river were bricks for Isildur1 and, just like he did a few days earlier, Antonius raked the largest pot in online poker history. A hundred buy-ins for a deep-stacked $500/$1,000 poker game would require a $20,000,000 bankroll, but some regulars say that even that figure is too little. In an interview Patrik Antonius confessed that with the way the games are evolving, even $100 million might be too little to have in reserves. “You can win or lose 3 million in under an hour” he says with a grin. Tom “durrrr” Dwan is down over $6 million for 2010, $5.5 million of it lost in a single week to Isildur1. Gus Hansen lost $5.4 million during 2009. Sam “LarsLuzak” Kelopuro all but lost his 4 million bankroll playing in the $500/$1,000 games but was smart enough drop to $25/$50 and $50/$100 pot-limit Omaha and has recouped nearly all of it since. Although Black Friday has put a bit of a damper on High Stakes Poker action, this is the place for learning about pokers elite players, internet phenomenon who play the biggest games and the highest limits they can find. Players who started with only a few dollars in their account and ran it up to multi million dollar bankrolls. If your looking for a quality experience we recommend Black Chip Poker as it’s one of the only quality US Poker Sites to join.